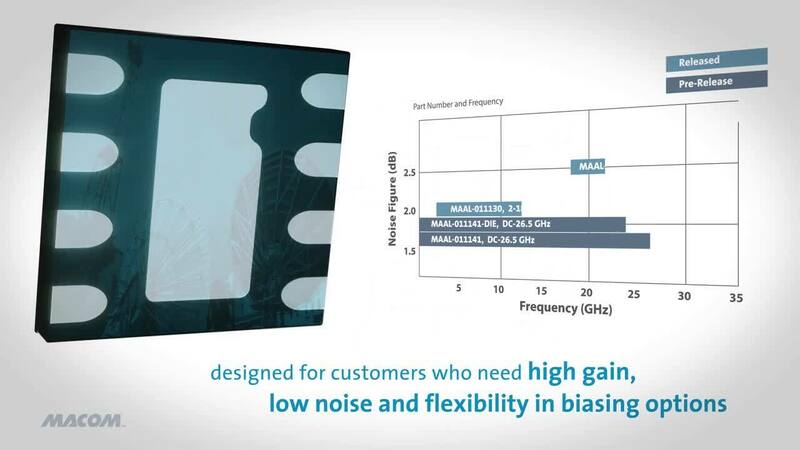 The MAAL-011141 is an easy to use, wideband low noise distributed amplifier die. It operates from DC to 28 GHz and provides 17.5 dB of linear gain, 16 dBm of P1dB and 1.4 dB of noise figure at 8 GHz. The input and output are fully matched to 50 Ω with typical return loss >15 dB. This amplifier employs an active termination circuit to achieve a lower noise figure at the lower end of the frequency range than is possible using traditional resistive termination techniques. This product is fabricated using a GaAs pHEMT process which features full passivation for enhanced reliability. 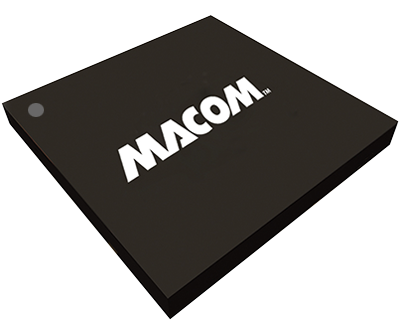 The MAAL-011141 can be used as a low noise amplifier stage or as a driver stage in higher power applications. This device is ideally suited for Test and Measurement, EW, ECM, and Radar applications.